Lacking that added oomph in your life? How about the perfect blog to go along with that scone and cup of tea? No problem. Beth, one of my favorite bloggers, always has the most upbeat and serene attitude to provide the much needed calm in your storm. I'm so very happy to her share thoughts on life with you all today and hope this makes your heart flutter, like it did to mine. Hey everyone I'm Beth from Dreams In A Poppy Field..., I was absolutely honoured when Cathy asked me to do a guest post for her. I really love her blog because she acts as such an inspiration. I particularly love her Makeover Monday Series, some of the quotes she finds really helps me to reevaluate my perspective on certain areas of my life, so I thought I would share some quotes that sometimes influence how I live my life. This is one of my favourite quotes of all time (I've even included it in my personal statement for University). It just helps reminds me that there is no point in trying to be like anyone else, or like a "perfect" celebrity, because perfection is an inhuman concept, that can't be achieved, we were all made to be unique and individuals, even identical twins aren't the same, so what is the point in trying to change something that is already amazing. The chance of you existing the way you do is so slim that is a miracle that each individual is here on this earth, so if someone doesn't like you for who you are, then good riddance to them. What a beautiful way of reminding everyone to appreciate what is around them, whether it be nature, your family or a good book. Modern life is very fast paced and we all desperately try to keep up with it, which can cause us to not realise what magical things are already around us. So please for me, this evening, snuggle up with your other half and tell them you love them, or go out with your friends and just appreciate what you have while you still have it. I know what it's like first hand to lose the ones you love (including family and friends), and I really wish I had appreciated each and every one of these lovely people more. Basically you should always do what you want (in a good way, please don't use me as an excuse to go rob a shop, that's just not nice), because when you find what you are really meant to do, you could go anywhere and make so much of yourself. Mistakes need to be made when you're young so that when you are older you know you have lived your life to the fullest, because no one really knows if we get another chance at life. Isn't it so true? I love what Beth picked out as inspirational quotes. 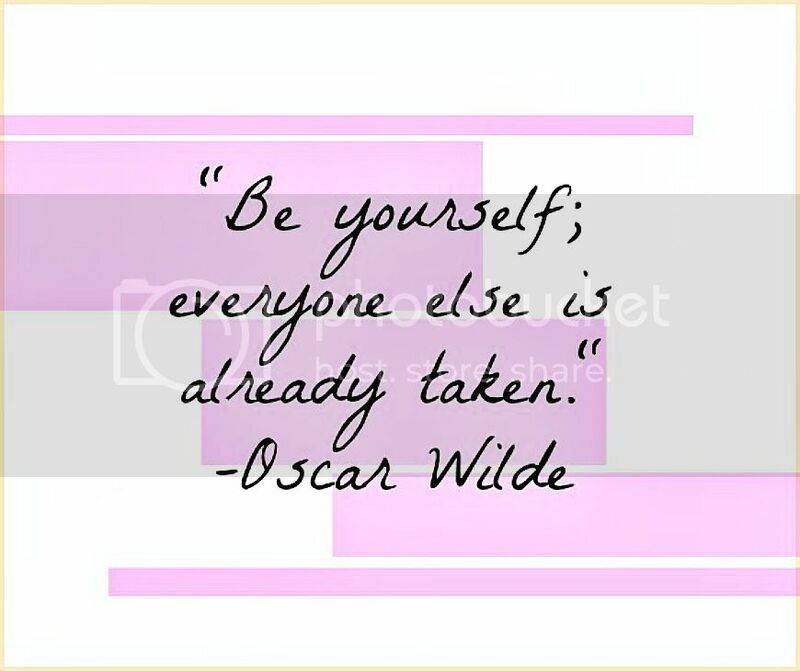 Be you, it's the only way to be. Beth is great! Have a great day! 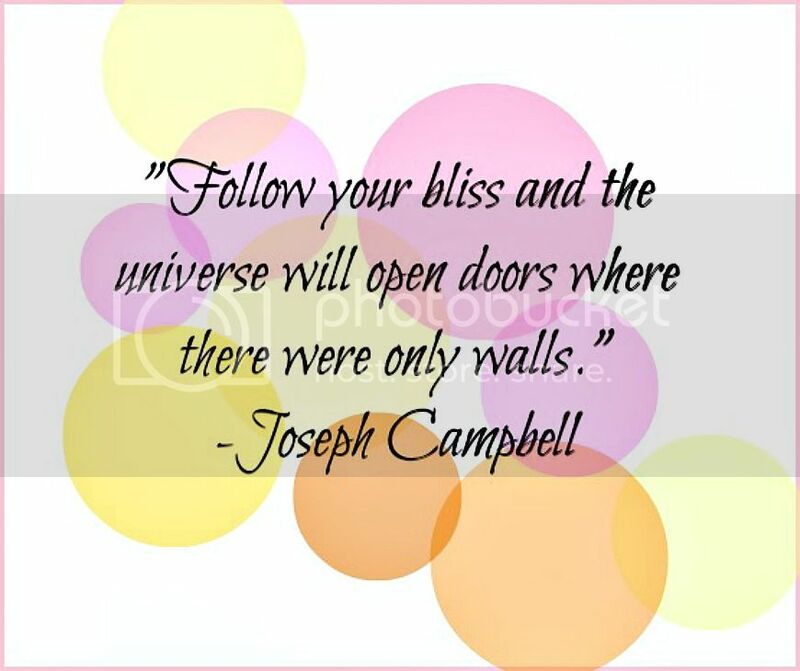 Ooo a Joseph Campbell quote. I'm only now beginning to explore his stuff but sometimes I wonder if there's a risk in knowing too much. I was first introduced to him when a cinephile friend mentioned him, its only several years later that I've actually dug deeper.